With outdoor faucets, it’s extremely important to remember to detach your garden hoses at the end of the season, close the inside shut-off valve and drain the faucet fixture before it freezes. 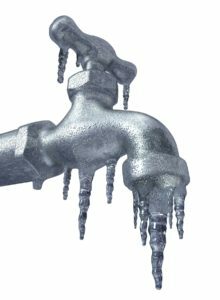 Water expands when it freezes, frozen faucets cause burst pipes. Ice takes up nearly 10% more space than the same amount of liquid water does. If the pipe is full of water in the liquid state, there is no room for expansion if the temp drops low enough for the water to freeze over! Once the water in the pipe freezes, something has got to give, and it’s usually the pipe, the valves, the joints or maybe even all three. It’s extremely important to prepare your water faucets for the cold winter months. Here’s what you can do to help prevent a watery disaster from striking in the middle of winter! From the inside of your home, close the shut-off valve that controls the flow of water to the outdoor faucets. Leaving a water-filled hose attached to the outdoor faucet is a disaster waiting to happen! Disconnect your garden hoses, drain them and store them inside for winter. Your hoses will last longer, be better protected from the elements, and will be less likely to leak at the connectors. Lastly, open the faucet up and let any residual water drain out of the pipe. Draining the outside faucet is crucial, because standing water between the inside shut-off valve and the outdoor faucet can freeze and break both the fixture and shut-off valve. Creating an air space within this section of pipe gives any remaining water room to expand if it freezes. In addition to winterizing your faucets – insulating your pipes is also a good idea. Pipe insulation is inexpensive and can help protect your plumbing and valves from cold temperatures. Seal any open spaces or foundations cracks that can allow cold air to circulate around your pipes. Finally, understand that sometimes pipes that have frozen and thawed do not start to leak until water pressure is re-applied. Come spring, check your outdoor fixtures for leaks, even if you have taken the proper steps to protect them from winter ice damage. Want to prevent Frozen Faucets from causing burst pipes? Joe the Plumber offers frost free hose bibs that are resistant to freezing. If you’re not sure what these are, give us a call, we will be happy to walk you through it! 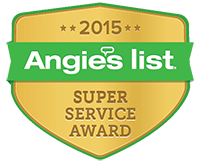 Call us at (860) 614-7157 for fast service. At Joe the Plumber, we put ourselves in your shoes. Our professionals respond quickly. We get the job done fast and we do it right. Call us at (860) 614-7157 for a free consultation or schedule your appointment online.